A bright pretty and crowded open star cluster. Through the eyepiece the stars look like pearls and there comes its nickname. It was discovered by Abbe Lacaille in 1752 from South Africa. It is also a good binocular target even for light polluted skies. NGC 3766 can be glimpsed with naked eyes in a dark site. Also known as Mellote 107, Collinder 248 and Campbell 97. It has more than 200 stars, hence it has been classified as 13r. 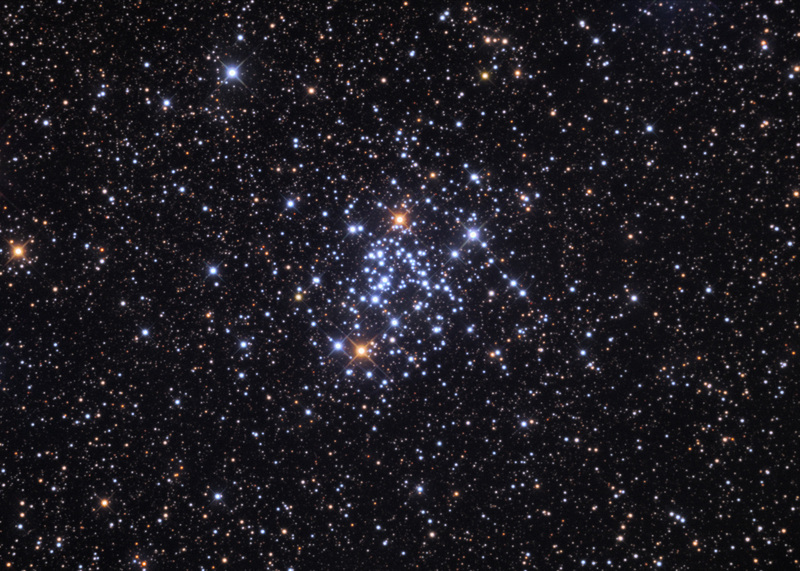 It is consider one of the most beautiful Open Cluster in Centaurus and a fair rival of the Jewel Box. Recently astronomers discovered a new type of variables stars with very small changes in its brightness.